In this buzzing busy world, things can go all crazy sometimes, but to calm oneself they have to think of something which can make them happy. Similarly, during stressful times, especially when something goes wrong in the office and one cannot handle that very well, then they should think of doing something different which can help them to distract themselves and think calmly on that matter. Therefore, it would be a great solution for all those stressful workers to calm themselves during tough office situation. Does Music Make you Work Better? Music makes things better during tough situations. When someone is sad or angry, then they should try listening to their favorite music to feel better. Similarly, one can surely use this music during their working hours in the office or anywhere. And also help them understand official aspects even better which is possible because music has such power and energy that can calm oneself and get them out of any situation. Sometimes during excessive workload, people can feel a little anxious about stuff, but to overcome such situation they must listen to some good music so that they can free themselves out of such level of anxiety. Therefore, it is always better to listen to music to calm themselves during working hours. Music helps them concentrate and think better. Moreover, music provides space for peace which people lack in their life. Most of the time working in the office people get so busy with their work that they don’t get time to communicate with others, but there is a solution for such tension and that is to avoid being busy all the time, one can start listening to music and even start a group who listens to different sorts of music. And in this way, one can start communicating with others through the music. Therefore, it is quite clear that music can help one communicate better. Some of the people listen to music to get themselves distract from all the issue which bothers them in their life. Similarly, some people make use of this music to improve their memory. It is definitely correct that music lets one go into such zone or the world where only music exists and nothing else, but it is also true that music helps some concentrate more on relevant matters of their life. Moreover, provides solutions for their issue and during such process, one can even start improving their memory power. Music helps people heal their pain and issues very quickly and easily. And that is why even professionals suggest others to hear some good music to feel better about themselves. Especially during excessive workloads an employee can calm themselves by listening to some good music and it also helps them to kick tension out of their life. Therefore, it concludes that listening to good music can reduce the level of tension in one’s life. Because of workload and office tension, people start working overtime so that they can finish off their work, but this can harm their health eventually. Neglecting sleep can cause serious issue into a human body and to overcome that one need to sleep at least 8 hours a day. Apparently, sleeping can be an issue for some people and they even take tablets to sleep better at night. So instead of taking tablets and hazarding one’s life, one can start listening to music and this can help them sleep even better than those tablets. There are some limits and regulations in the office and these rules and regulations are followed strictly in the office. And that is why listening to music can get oneself to get fired from their job. Moreover, this discussion is about understanding the do’s and don’ts of listening to music at work. Some people prefer hearing music at work and it also helps them work better on certain projects. But sometimes this habit can even harm others as they like to be silent during their working hours. Therefore, to avoid such situation a person can start using headphones so that he or she cannot harm others by his or her music hearing habit at work. Otherwise, if a person has an independent cabin, then he or she can surely use speakers for themselves. Listening music is allowed in certain offices unless it doesn’t trouble anybody. Therefore, if people want to hear some good music in their work, then they should think of its volume level. Keeping the volume low can help the people listen to their music and it also doesn’t harm or distract others from their work. Moreover, listening music provides a better environment for their official activities and services. Listening music at work can be tricky sometimes. And to avoid that tricky situation, one need to pause listening to music whenever necessary. For example, if a person is listening to music at work suddenly a call comes, then that person need to pause the music first and take the call, finish that business first, then later can continue listening to music anyways. Therefore, it is necessary to understand how to use music during work. Most of the time people go with the flow while listening to music. And apparently, it can get ugly in the office that a person is listening to music and dancing to it. Such kind of behavior must be controlled while hearing music at work. Therefore, there are certain rules and regulations to hear music at work and if a person is ready to understand all those rules and regulations, then they can hear any type of music without troubling anyone around them. There are some places where a person cannot be allowed to hear any sort of music and at that time that person needs to use some of the tricks of hearing music so that they cannot be get caught. And they are as follows. Using headphones at work can be allowed in some places of work, but it is not necessary that those headphones are allowed everywhere at work. There are certain places like conference rooms where all the presentations are conducted and it is very much important to concentrate more on the presentation than the music. Therefore, to avoid such situation a person can wear some of those ear bud kinds of wireless headphones. For some people, music is like an addiction and it helps them to concentrate more on their work, but unfortunately, some people don’t understand such things and they start accusing those people of being inattentive. Therefore, to avoid such type of accusation the person should start covering himself or herself with a hat or scarf something like that. It helps them get covered and also lets them hear music at work without any sort accusation. There are certain situations when a person can get caught while hearing music and that would be one when they get caught off wearing headphones or else when they get caught because they are not paying attention. So to avoid the second situation a person need to act as if he or she is paying complete attention to what the other person is saying. And eventually even if he or she is wearing headphones and hearing music the other person will not get to know that the person is hearing the music more than his or talk. There is no such exact policy at work regarding listening to music at work, but there are certain safety measures to be followed which is already explained earlier and stated above. Listening to music at work is a private and personal stuff and such stuff is allowed in some office and in some not. Moreover, listening to music at work will never harm anyone if the person doesn’t disturb anyone else. 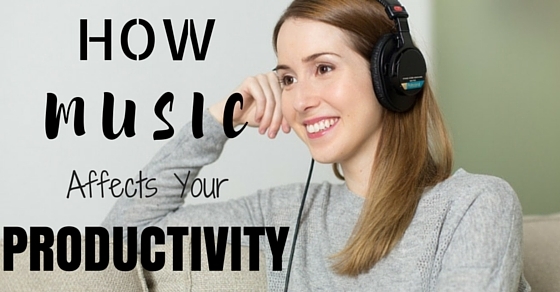 When it comes to music, there are many benefits of listening music at work. Listening to music can benefit people with different areas of their work. Some people find their peace in music, some people find freedom with their music and some enjoy their world of music limitless. Moreover, listening to a good music can always be considered as a positive aspect for people at work. Some people find their peace while hearing music and similarly music gives them their life back over and over again. And that is why people love to hear music whenever it is possible, sometimes even at work. While hearing music at work they feel better and the music helps them lift up their mood quickly. There are some situations in the office when a person gets pissed off on his or her boss or may be of something else, but to get rid of that mood he or she can start hearing music which can help him or her enhance their mood. Sometimes work can be very repetitive such as taking copies or making notes or projects or taking printouts and much more. These types of work can be frustrating to repeat it every time. Therefore, to avoid frustration a person can start hearing music and continue with his or her so that he or she can get that job done as well as entertain himself or herself simultaneously. Most of the times in an office where people constantly talk about official things and making comments on things one can be frustrating for others who are not much of a talker. Therefore, to come out that kind of workplace a person can put on his or her headphones and enter the world of music to clear out all of his or her work with more concentration. Therefore, music provides a zone of peace and entertainment for some people who loves hearing music. There are some people who think music understands them better than any living things and that type of thinking let them enter into a world of music. Some of the time these types of music addiction can be beneficial for everybody and that is possible because of the music. When a person starts hearing music during stressful situations at work, then it is possible that he or she can feel calmer after hearing music at work. Therefore, it is advisable to hear music at work during stressful situations. Some people think that music is a tool for distraction, but some people think that it is linked to another world of peace. There is a different type of thinking and perception about music among different people. The music never harms anyone unless the person hearing music starts disturbing anyone else. Therefore, it is always good to hear music during tough times because it helps them focus more on their life and especially during office work. Finally, the bottom line is that at the end of this discussion about the productivity of the music at work and all sorts of benefits of listening music at work. There are some positive and negative comments about listening to music at work. And those positive and negative comments can measure in terms of the thinking of different people. Therefore, listening music can never be harmful to anybody, but listening to music at work can give oneself better ability to cope up with stressful situations.